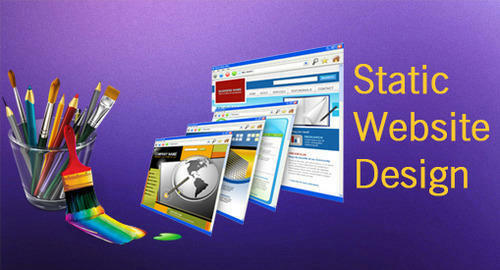 A static website designing is a type of stationary web page that displays same content to every visitor. It is delivered to the user in exactly same way as it is stored. A static website is simple to design as it involves minimum coding techniques. If you are looking for excellent static website designing service in Delhi, get in touch with us today. We are the leading website design service provider in Delhi and NCR. With a huge client base in Delhi and across India, we have expertise in working on website design project in every domain. Whether you are small sized business, a start-up company, or a well-established organisation, we are the perfect destination for all your website design needs. There’s no need to have any administrative system. It is easier to optimise a static website. To avail the best static website design for your company you need to have the most experienced web developers who can understand your requirements and deliver to you according to your business needs. We have a team of professional website designers who have expertise in designing unique websites integrated with excellent features. Static Website Designing involves small as well as huge websites but with simple designs and without complex programming. Adisoftronics provides static website designing services which are appealing and creative. These static websites allows businesses to explain their company's goals and objectives we help you in planning, design, and development of your personal or corporate websites the main purpose of our static website designing services it to provide you with an online presence. This would help you to showcase your products and earn business these website designs do not require databases, e-commerce systems or extensive custom coding. Hire the best website designing company in Delhi to avail professional help in building your website at affordable costs. static website designing, Mobile responsive websites, compatible to all devices free domain and hosting. CMS Website Development. Unique Creative Designs. Ecommerce Portals. Expert Web Developer. Services: Stock Management System, Payment and Sms Gateway, Order Tracking System.